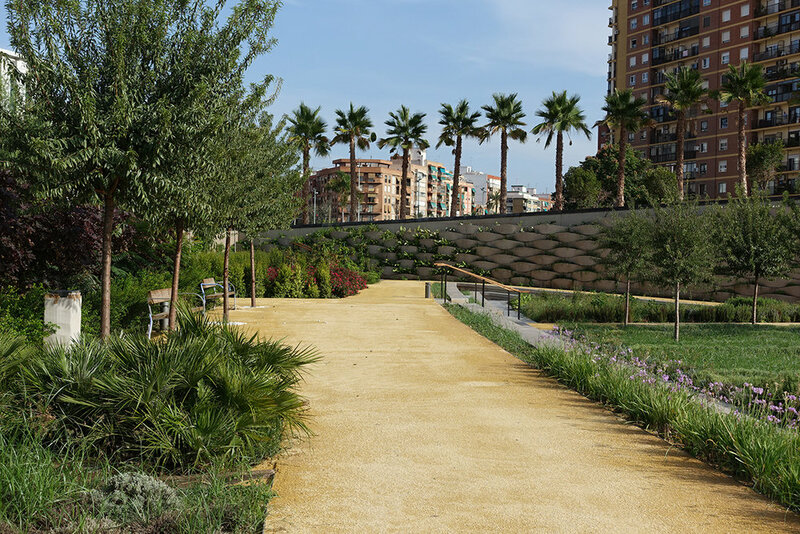 Our Valencia Parque Central project is approaching completion, with the first phase of the 23ha development due to open in early 2019. Photos show the sequence of spaces within the first phase. 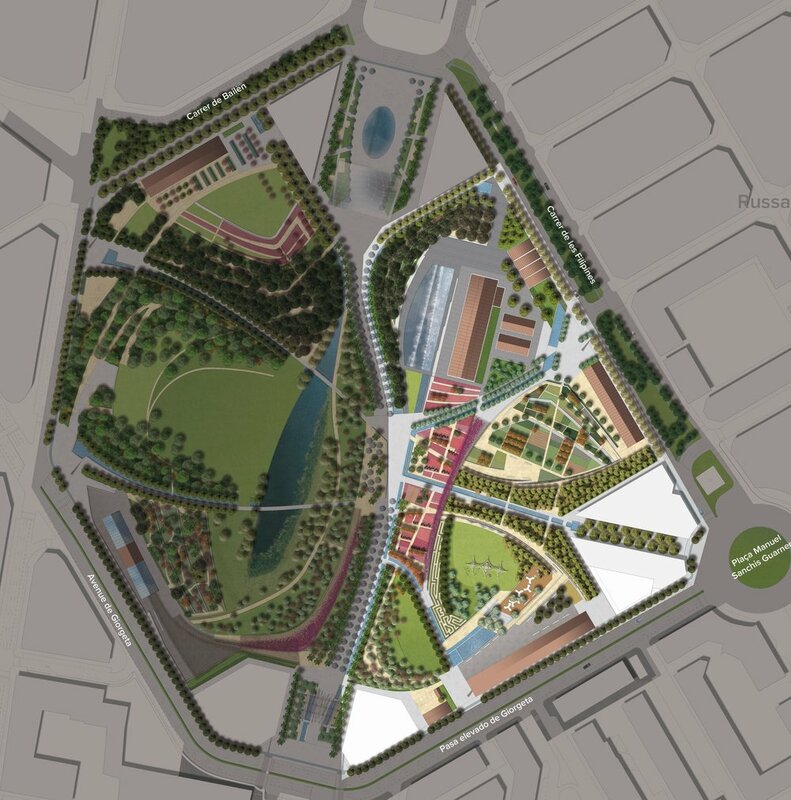 The project is one of the city’s most significant redevelopments to date and will create a new contemporary public park which celebrates the culture of the region and which will become the social heart of the city, uniting eastern and western neighbourhoods that were previously divided by a railway. Eventually it will also connect other areas of the city to a 43-hectare redeveloped southern zone. 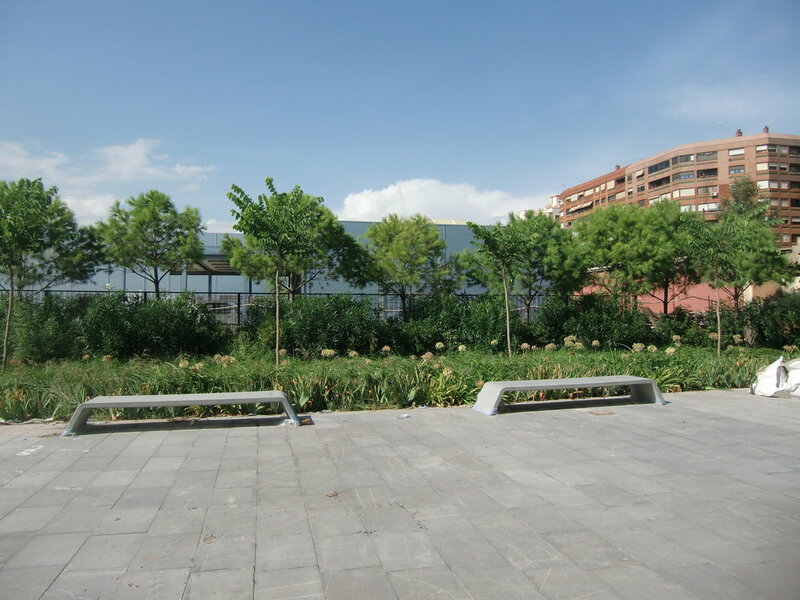 The project aims to distil the historical, cultural and geographical uniqueness of Valencia in a contemporary park and responds to a challenge to build a sustainable urban public space. References to the local tradition of ceramics are expressed through the design of ‘bowls’, which provide a unifying gesture with water as its overarching theme. These bowl-like spaces are created through sculpted landforms, and when completed will create spaces for art, programmed activities, the community, history and cultural events. 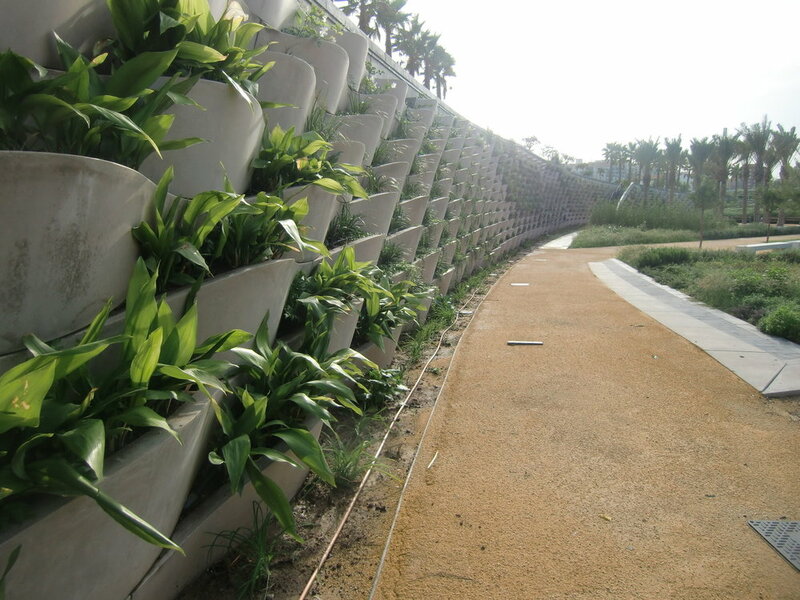 The winning competition entry and subsequent project has been developed by an international multi-disciplinary team led by Gustafson Porter + Bowman which includes Borgos Pieper architects (London/ Barcelona), Nova Ingeniería Project Management and Grupotec Engineers from Valencia.